“sportsman of the year” by Sports Illustrated. Empathy activates conscience, curbs bullying, reduces prejudice and promotes moral courage. How do we cultivate “math positive” students? At this session, learn how educators can effectively motivate their students to be engaged in mathematics material and enjoy it too! In his presentation, Hal will draw from the chapters in his popular book, “Lessons from the Classroom; 20 Things Good Teachers Do,” that explain his strategies for bringing out the best in his students. Dr. Tom Lickona, author of Raising Good Children, will share seven ways to create close and loving families, teach respect, and guide good character in both kids and adults in the house-hold. Celebrate with us as we honor our 2015 Promising Practices recipients. As director of the Moral Psychology Lab at the University of Notre Dame, Narvaez researches morality from an interdisciplinary perspective across the lifespan, including early life, childhood, and adulthood. Transforming a school is a group process that must involve all stakeholders. 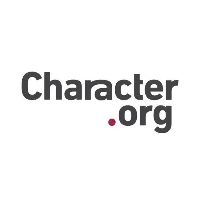 Celebrate with us as we honor our 2015 National Schools of Character. Learn about a new community scale that can be used with any school climate survey or as a ‘stand-alone’ metric and the youth-led School-Community Partnership Process. This award has gone to great people of distinction such as Gen. Colin Powell and Hon. Sandra Day O’Connor who strive to protect the common good, and we are thrilled to add Congressman Lewis to this cohort. Congressman John Lewis out of Atlanta will be the culminating speaker at our 2015 National Forum. You are able to join virtually the excitement of 22nd National Forum on Character Education. Watch a high quality LIVE video stream brought to you by Blaze Streaming Media. Enjoy, interact and watch the live feed from any of your internet connected devices. On Oct 16, 2015 8:00 EDT to Oct 17, 2015 17:00 EDT you will come back here and watch the show LIVE!! On behalf of Blaze Streaming Media Cleeng teams provide support before, during and after the event. Due to high traffic just before and during the event, critical requests will be handled first, so please moderate your questions and only send if very urgent. Please try not to send multiple requests.